Our names are Donna and Rodney we are fortunate to have the opportunity live the dream. Our adventure started in November 2016 and well may it continue long into the future. The dogs came first more as an impulse as we only went to have a look at breeds with the intent in the future we might get one. Well we came home with two pups “West Highland Terriers” and named them Mac and Rose. Over the following twelve months they started their own face book page and became well known via this page with all our friends. 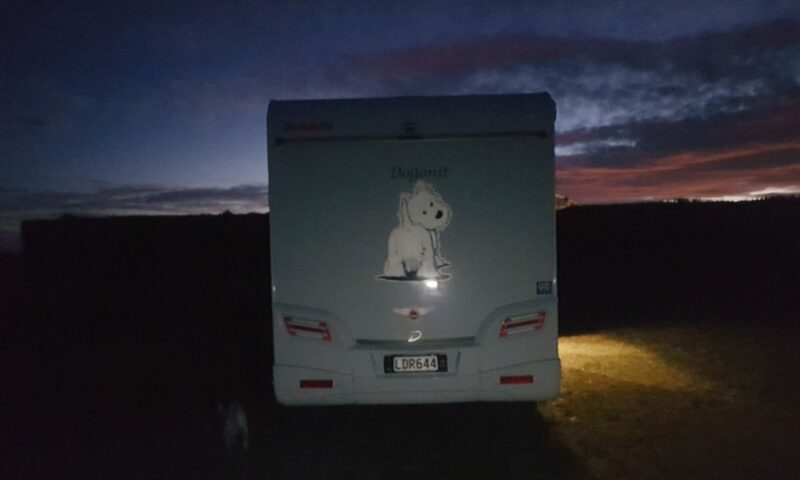 Over the previous year we had contemplated whether it was a “dog” or a motor home – Of course the wife got it wrong and went the “dog(s)” route so we went and got a motor home as well. We took delivery of out Dethleffs Esprit in January 2018 with much fanfare and named her “Dogonit”. 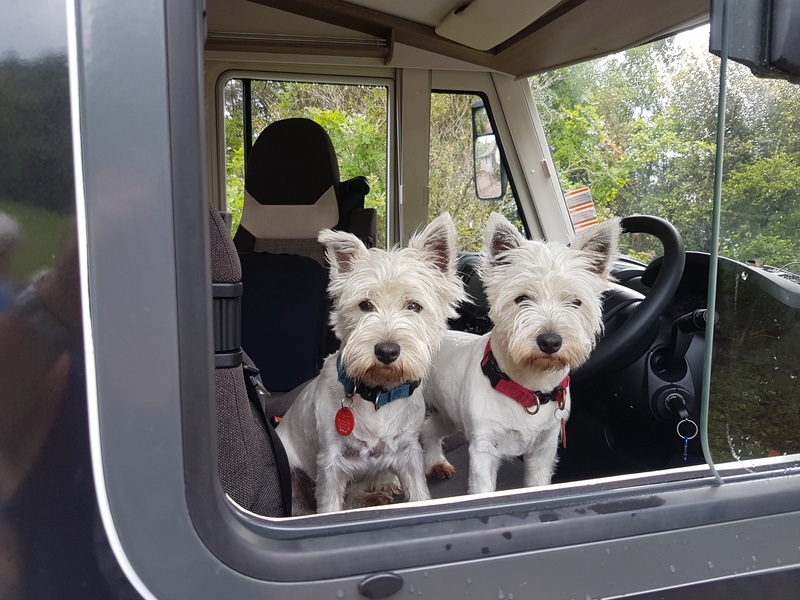 areas, pet friendly destinations and adaptions to the motor home to make the journey more acceptable and pleasurable not only to us but also Mac and Rose. I started by going through online Council records throughout New Zealand looking for off leash exercise areas and looked for a medium to publish these for our own use. Google Maps was the obvious choice and has led us to plotting our destinations as well on a separate map. This in turn lead us to publishing a blog so others contemplating or already traveling with pets could read about our experiences and find links to other sources of information. Ohau I love to B on the road again….. This is a record of our adventures. Each Icon depicts a place of interest either a place we stayed or one we felt a comment was justified. Click on the Icon and the date, short description and photos of the location will be displayed. The Mauve Icon depicts our present location. The Red Icons are the the places visited on our last journey and the Blue Icons are historical and used as reference for future visits. The map below depicts the leash free dog parks discovered either by visiting council web sites, googling or information provided by others. If you wish to add to the map please feel free to send a reply in the “category” Leash Free. By clicking on the Icon you will get more information on the park and photo’s (if we have visited them).